Due to demand JT Physiotherapy is expanding its team again and is looking to recruit additional Reformer Pilates instructors. “Our staff are one of our most valuable assets and our main aim is to help them love their job so they can thrive within the team. The successful candidate will receive excellent professional development opportunities within a positive environment”. Suitable candidates should have experience in leading Pilates, Yoga or group exercise classes but no experience in teaching Reformer Pilates specifically is required, as training will be provided. Interested candidates should be fitness enthusiasts who are passionate about health, strength and well-being and would like to work in the Northwest. Class numbers at JT Physiotherapy are kept to a maximum of seven participants and classes last one hour. 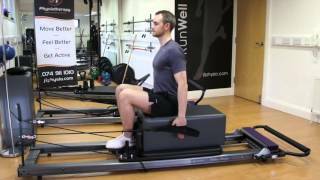 Reformer Pilates will improve participants’ flexibility, muscle tone and core strength. A full class timetable can be found here. Closing date for applications is Wednesday 18th April and CVs should be sent to packie@jtphysio.com.